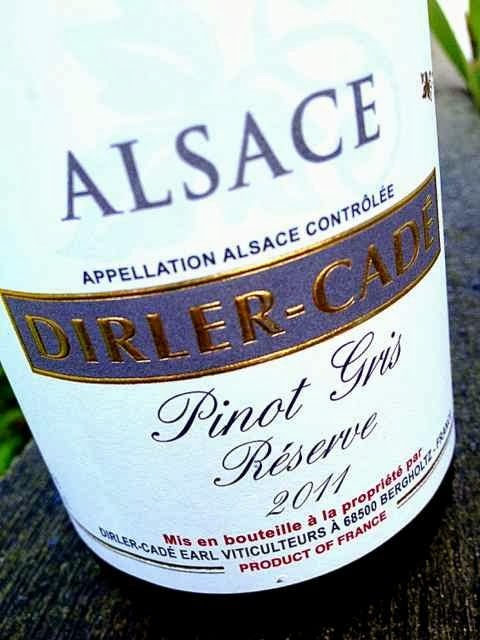 The warmer climate has changed the aim for the wine producers of Alsace. Until the 1980s, the harvest began in mid-October and they had great difficulty in reaching sufficient maturity. Nowadays the harvest begins in mid-September and there is a high risk that the grapes already have amassed large amounts of sugar and lost the acid prematurely, with a loss of elegance as a result. But the producers who restrict the vigour of the vines through minimal supply of compost, and maybe some biodynamic preparations, force the vines to put energy on survival rather than boosting the sugar content of the grapes. 2011 Pinot Gris Réserve from Dirler-Cadé in Bergholtz has medium yellow color with reddish color tones. The nose is restrained with notes of fresh (not dried) apricots, a little pineapple and herbs. The palate is medium-bodied, fresh and elegant with a pleasant somewhat auster mouthfeel, and a harmonious an pure aftertaste. Price: € 9.20. It is a pity that many tourists visiting frown upon Sylvaner. 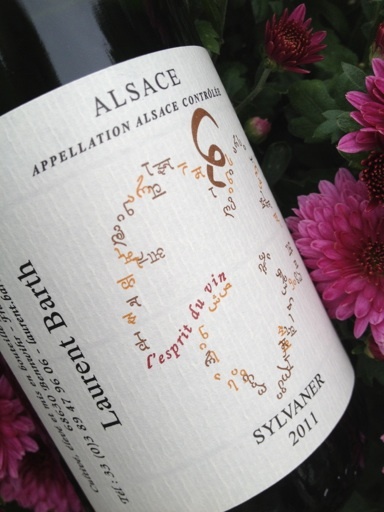 Without even having tasted the wine, let alone enjoyed Sylvaner of high standards from an excellent producer. Unfortunately, the supply of such Sylvaner small because most are sold locally as "the daily bread". But when wine is created from ancient vines of a skilled, meticulous and passionate producer, then everything falls into place. 2011 Sylvaner from Laurent Barth in Bennwihr has straw yellow color. The aroma is clean, oily and mixed with lily of the valley, wax, apricot, butter and a splash vanilla. The palate is full bodied with ripe, dense fruit, lovely acidity and an elegant minerality in the delightful aftertaste. Masterfully done. Almost for free. Price € 6.50.